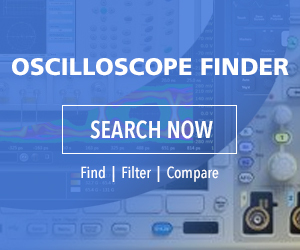 The CS448 isolated-channel oscilloscope provides four isolated analog channels and eight digital channels. Developed by Cleverscope, it includes a 0-65-MHz isolated signal generator, USB 3, a 1-Gbit Ethernet port using an SFP socket for either wired or optical ethernet connection, and a general-purpose 16-pin mixed-signal control port using programmable hardware (a Silego SLG46533V) which includes trigger in and trigger out connections. The CS448 has 256-MS storage. than -80 dBc. The high-resolution ADC allows 200-mV resolution at 800 V.